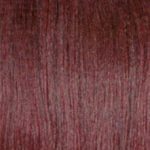 Fashion wigs come in a huge range of colours, lengths and styles. So when you’re first exploring what your options are for a wig that will enhance your beauty, it can be confusing. Which Wigs Are Most Comfortable? Full lace wigs tend to be the most comfortable and feel most natural for the wearer. If you have particularly sensitive skin or scalp and still get itchy irritation from a full lace wig, you may benefit from using a good moisturiser on your scalp. Some sensitive scalped people also choose to wear a stocking cap, which puts a softer material directly on the skin, rather than the lace cap of the wig. Human hair of hand-tied wefts gives the best touch and feel sensation. This can be a more comfortably pleasant feeling against your neck and skin. No two wigs wear the exact same way, so having more than one wig and changing the wig you wear each day can also alleviate any small discomforting or irritating points from becoming a more major issue of comfort. Which Wigs Look Most Natural? 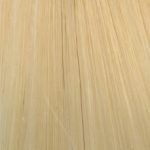 Custom made wigs that are tailor-made especially for you from human hair that is hand-tied is the ultimate in natural looking wigs. To see the difference a custom-made wig makes, check out the Instagram videos published by Jared Henderson “J Stay Ready”. For those with a smaller budget, wigs made with human hair using hand-tied wefts, have a natural feel and movement that looks real. Especially when they are professionally fitted and coloured to suit you. Single colour wigs need a little highlighting at the ends and dark colour at the roots to better mimic how light reflects off your real hair. The ultimate blending trick is to trim the front lace of the wig so that it will sit a little further back on your head. To put the wig on you simply leave uncovered a part of the front section of your natural hair around your hairline. Then put the wig on and style your natural hair to match the style of the wig. 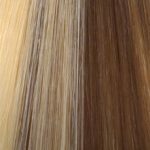 How long a wig will last is pretty open to interpretation… For example, a human hair wig is considered to be more fragile yet when well cared for, some real hair wigs have been known to last 5 years and more. Aficionado’s of wigs will tell you that there are many vintage wigs (made with human hair with silk caps that are more than 20 years old), that are in surprisingly good condition and still wearable. Synthetic stranded hair wigs that are well made and cared for (following manufacturer instructions) regularly last 4 years and longer. Make an appointment to have one of our stylists look at your hair and scalp. We’ll let you know the best wig, colour and style to suit you – that fits your budget and lifestyle.